I’m a mom of little kids—I don’t have time for prayer. I’m in college with a heavy class load—there’s no way I can have daily quiet times! My friends and family members expect to spend time with me—I can’t just ignore them and go read my Bible; that would be rude! I’m in a serious relationship, and the two of us are together almost all the time—it is simply not possible for me to pray as much I used to. I’m in ministry and the demands never stop—it’s not reasonable for me to spend much time alone with God. Even though Scripture exhorts believers to make prayer a priority, as busy women, we often believe we are exempt from this command. I mean, surely God understands that it’s just not practical! How can we possibly make our relationship with Christ the highest priority of our lives when we are mothering little ones . . . or obligated to friends and relatives . . . or cultivating a relationship . . . or managing a heavy class load . . . or planning a wedding . . . or carrying the weight of full-time ministry? Whenever I catch myself saying, “I have too much to get done today to spend time in prayer,” I know I’ve allowed the cares of this world to keep me from my God. It’s not that spending a certain amount of time in prayer each day somehow makes us more righteous. But time in God’s presence gives us the spiritual fuel we need to live the set-apart lives He has called us to. Our loving Redeemer is waiting at the banqueting table, eagerly longing to commune with us. Yet how often do we reply, “I cannot come; I have something more important to do. I ask to be excused.” Oh, what a heartbreaking response! It’s as if someone is offering us a handful of priceless diamonds, and we choose a pile of worthless pebbles instead. When I’m struggling to keep my spiritual priorities in check, I often think of the story of Mary and Martha. It seemed completely impractical for Martha to stop bustling around the kitchen and sit at Jesus’ feet, as Mary was doing. She must have been thinking, Surely Jesus knows I can’t just drop everything to spend time with Him! And yet Jesus told Martha, “You are anxious and troubled about many things, but one thing is necessary” (Luke 10:41–42). What was that “one thing” that Martha needed? To sit at Jesus’ feet and receive His word. That was the only way she would ever find the strength and grace to do everything else she was called to do. Martha’s serving and hospitality was not the problem. The problem was that she was attempting to do these things in her own ability, without making Jesus her highest priority. And as a result Martha was worried, frazzled, and “distracted with much serving” (Luke 10:40). When we attempt to serve our families or work hard at our tasks without the under-girding strength that comes through time with God, it quickly leads to burnout and stress, just as it did for Martha. 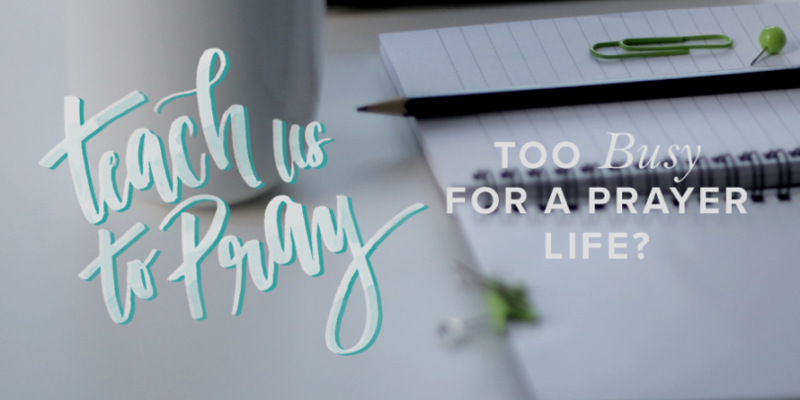 A busy mom of six once told me, “I’m too busy not to pray!” Our spiritual lives would be transformed if we lived by this creed. Let us lay aside our “hustle and bustle” and choose to make time with God our highest priority, even during seasons when it doesn’t seem practical to do so. We will never regret one moment spent at the feet of Jesus. 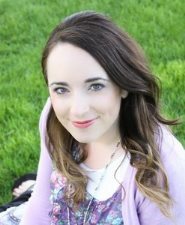 Leslie Ludy is a bestselling author and speaker with a passion for helping women become set-apart for Christ. She and her husband Eric have published more than twenty books with over a million copies in print and translations in a dozen languages, including When God Writes Your Love Story and Authentic Beauty. Her newest book, The Set-Apart Woman, was released in 2015. Eric and Leslie live in Windsor, Colorado with their six precious kiddos. This blog was originally published on Revive Our Hearts/True Woman. I noticed you didn’t mention those who serve as caregivers to elderly parents. Please don’t forget us. Even under the best of circumstances, caregiving is physically draining and emotionally exhausting. I am often too tired to read my Bible and pray. Thank you so much for this reviving reminder! We have had an unexpected family event that has been consuming me as a mother and it’s all my mind gravitated to. It has distracted my quiet time and I’m repenting all the time, try I g to get back to Jesus. But I will never stop trying, as He is my lifeline. So again I give thanks to you, for this beautiful reminder!